I would like to say "THANK YOU" to each and every one of these Team Members who are making the 2016 climb possible. 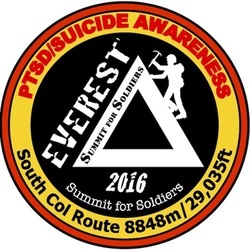 "Over 8000 meters for Over 8000 Veterans!" Good friend and mentor, Andy Politz for his immense guidance and support!